This treasure-trove for crossword lovers is designed for crossword fanatics of all ages and expertise. Dip into this definitive reference package, and you will find advice, word lists, solutions and much more. The treasure-trove for crossword lovers. 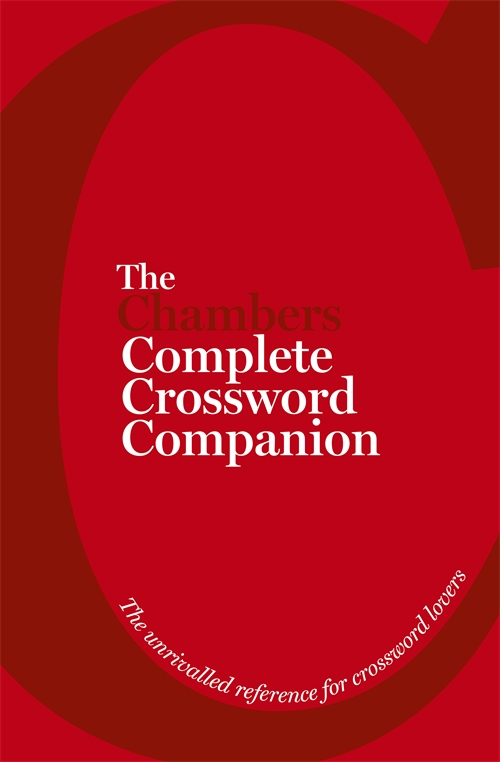 The Chambers Crossword Companion is designed for crossword fanatics of all ages and expertise. Dip into this definitive reference package, and you will find advice, word lists, solutions and much more. All the solutions you’ll need: for the first time ever, the Chambers Crossword Companion brings together the two most important crossword-solvers tools: The Chambers Crossword Dictionary and Chambers Complete Crossword Lists, fully integrated with each other. All the history you’ll need: the Companion is introduced by a brilliant essay by crossword guru Don Manley explaining ‘The History of Crosswords in Ten Clues’. All the advice you’ll need: the first section of the book, based on Chambers Crossword Manual, is full of practical tips on how approach a crossword and understand the different clue types. All the practice you’ll need: included as part of the manual section, are over thirty actual crossword puzzles, complete with detailed explanations of the solutions. Crossword), find words which will help you (Chambers Crossword Lists) or actually fill in blank spaces (Chambers Crossword Completer).